The human brain processes visuals 60,000 times faster than text. What people see in images allows them to make associations faster than even the most engaging written content. Images, therefore, can have a tremendous impact on prospective customers. They can influence buying decisions and help people create certain associations with brands. As trends emerge throughout the marketing industry, they also impact the design color palette used in print design. Graphics want to catch the eye of the intended population and interest them enough to convince them to read on. These trends can help professionals identify what connects best with audiences right now; what they view as visually interesting and engaging. The years 2016 and 2017 saw some interesting changes in color palettes for design. A large influx of color, helping to inspire positivity, flooded the design world. As we prepare for the summer of 2018, we continue to see the evolution of these trends. Here are the top ideas that you should pay attention to this upcoming summer. Color should dominate design. Bright, bold, and vibrant colors will be prominent this summer. Finding ways to make your design stand out will be the cornerstone. Design this summer will revolve around expressing individuality through color and light. Brands looking to create some fantastic print design visuals this summer should focus on these important trends. Look for rich colors to add, as well as ways to really set the design apart. Using creative elements, such as 3D designs or color channel splitting can be a great way to accomplish this. Metallic outlines and color gradients will also help capture the eye and ensure that the brand demonstrates their insight into the tastes of the summer. Creating high-end print designs can be a challenge for many brands, particularly those who want to reflect the latest consumer tastes. Working with an experienced design team can help alleviate these concerns. 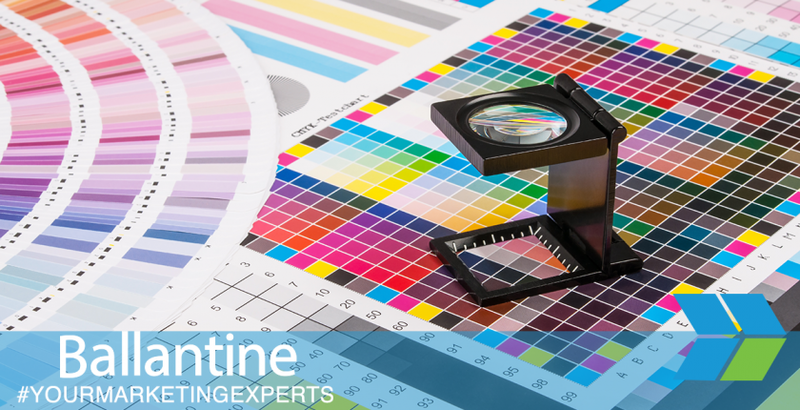 If you want to learn more about the latest design trends, reach out to us at Ballantine. We would enjoy the opportunity to put our design team to work for you.